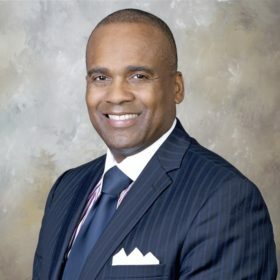 Timothy A. Reese, formerly the Treasurer of the Commonwealth of Pennsylvania (2015-2017), is a seasoned senior executive with 15 years of C-Suite experience and a combined 28 years within the finance and technology industry. A well respected expert in the practice of investments, business strategy, and operations, Mr. Reese has operated on all sides of finance as an issuer, investor (private and public), and broker. Mr. Reese has vast experience in equity and debt financing for Reg. D and private placement offerings. He has Very Large Portfolio asset management experience, with more than $10B in funds under direct control. As a founder of businesses, Mr. Reese has sold three companies and invested in more than 15 other companies. He has been part of the technology industry revolution since the early 1990s, with relationships spanning Silicon Valley to Silicon Alley. Currently, Mr. Reese is a registered investment banker at Quoin Capital LLC sought after for capital raise expertise (asset management and private equity) and senior adviser to private industry and state government. Mr. Reese holds a B.S. in Electrical Engineering & Electronics Technology from Temple University and was a Fellow at the Temple University Fox School of Business. Mr. Reese holds FINRA licenses Series 79 and 63.